One of many performance cars that are looking forward to showing what they’re made of at the Goodwood Festival of Speed. With a few months to go until the Goodwood Festival of Speed kicks off, performance cars are preparing for the event by undertaking a few practice runs. Here we have the Bentley Continental GT V8 doing a couple of runs of the Goodwood Hillclimb course in preparation for its official appearance in the summer. 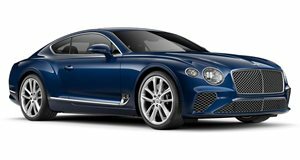 Other Bentleys on show included the recently launched Continental Supersports Convertible ISR, which Bentley dubs the "world&apos;s fastest luxury convertible," and the 6.75-liter Mulsanne. "The team had an excellent day at Goodwood with the new Continental V8 and we&apos;re now looking forward to returning in the summer as one of the Festival&apos;s official partners and with our leading &apos;Bentley Boy&apos; drivers behind the wheel," Steven Egan, Bentley&apos;s Marketing Operations Manager, said on the day. The new 4.0-liter V8 engine made its debut in Detroit earlier in the year, and although not as powerful as the 6.0-liter W12, still manages a respectable 500hp and 486lb-ft of torque while cutting CO2 emissions by up to 40 percent. The Goodwood Festival of Speed runs from the 28 June to 1 July.